Registration is now open for the 54th annual Tour of Kansas City! Early registration is highly encouraged to save money, and your spot, at this year’s event. The Tour of KC is once again part of the Flyover Series, the Midwest’s premier race series. With over 120,000 in series cash and prizes, the series draws the fastest riders in the region. The 2017 Tour of KC is also part of the Kansas State Race Series, KBAR. Saturday, June 24th, riders will open the weekend with the morning time trial on Cliff Drive, finishing on top of Gooseneck Hill. Immediately after the time trial, the Cliff Drive Classic Circuit Races will begin. Riders will test their legs, head-to-head against their rivals. Multiple trips up Gooseneck will hurt, and those who can handle the hurt best will need to attack hard to make a statement early. This year, food will be onsite, we have at least one food truck coming out during the event so riders can eat onsite and not miss out on any of the racing action. 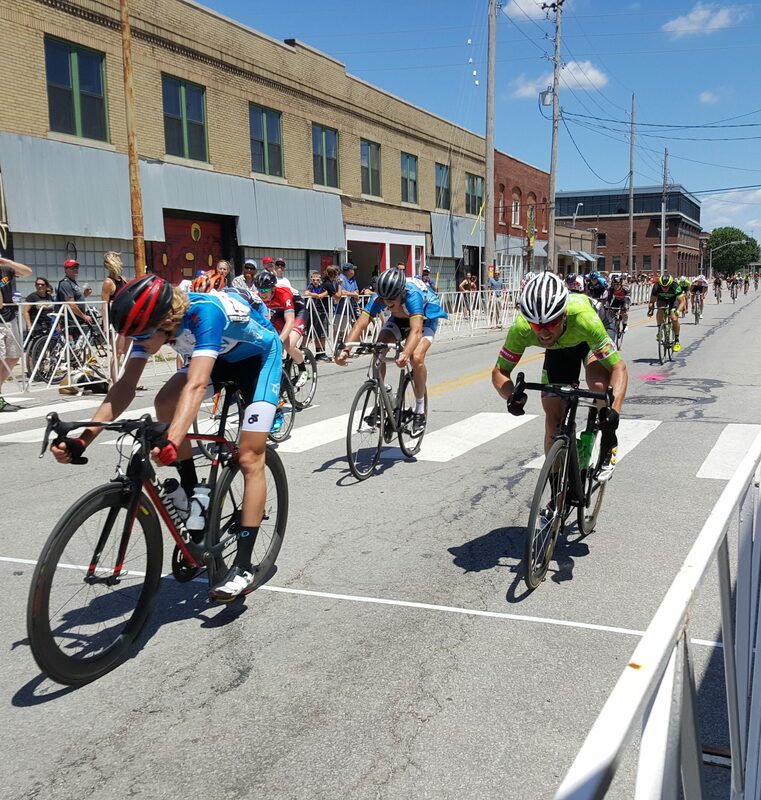 Sunday’s extremely popular Crossroads Arts District Criterium will once again finish off the weekend with a bang. Plenty of corners and an extremely fast finish will treat spectators to a great day of the Midwest’s fastest racing action. Riders and spectators can treat themselves to food and drink at Border Brewing Co., Double Shift Brewing Co., and Grinders all located right along the finish line. Teams are encouraged to set-up onsite both days; there is plenty of room to pitch tents kick back, relax, and watch some great racing. Time Trial spots are very limited, we filled up fast last year. If you plan on competing in the omnium, you don’t want to miss out on the time trial. Don’t wait, we anticipate categories to fill up. Save money and register early. Stay tuned, we have some announcements pending regarding a special award to be given out at the Tour of Kansas City and other great perks, awards, and prizes. Prices go up once early registration is over so don’t wait, REGISTER TODAY. This year we are raising funds for Alex’s Lemonade Stand and Missouri Bicycle and Pedestrian Federation. Please consider supporting our charitable partners; during registration you will have the option to donate to these great organizations. 100% of your donation goes directly to these charities. Every dollar helps these non-profits in their missions to fight children’s cancer and to support cycling in the state of Missouri. In addition to your donation, we are donating $2 of every race entry to support these causes. Thank you for your support.